That's right! 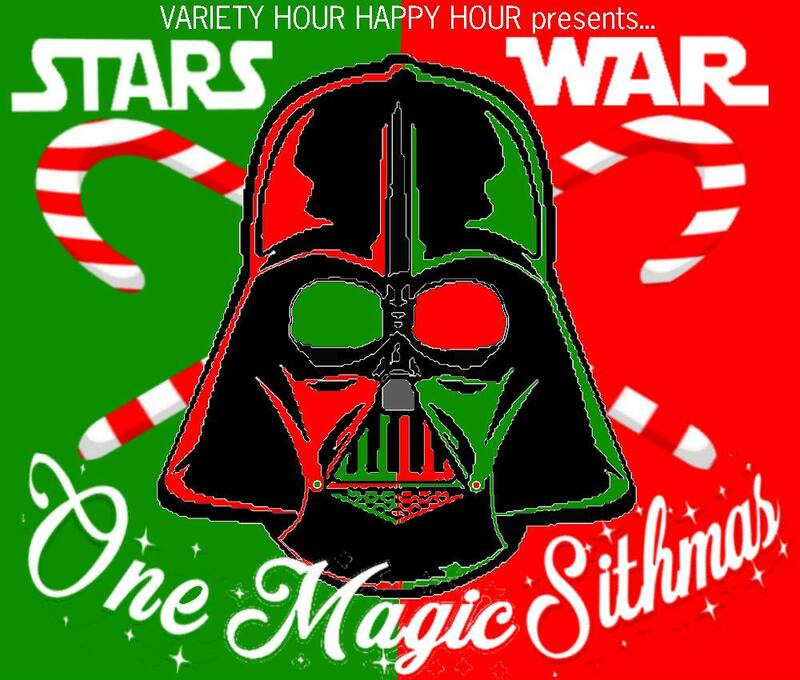 Variety Hour Happy Hour is back with their hit Stars War Holiday Special: One Magic Sithmas!! The Evil Galactic Emperor, oh let's say his name is "Schmalpatine", has hatched a nefarious plot to create an overwrought commercial holiday right on the heels of the Rebellion's latest victory! Can Schluke Schmywalker and Schmarth Schmader find the true meaning of Sithmas before it's too late???? Find out with a night of laughter, nostalgia, parody, and fair use! Tickets are 10$ at the door and 5$ with a themed donation to Sojuorner Family Peace Center. Follow the link to check out their Winter Wish List and learn more about their wonderful mission.